Removing CO2 reduces the load on the Anionic resin, increasing water production between regeneration cycles. Through-put performance between regenerations as high as 8.5x has been achieved. 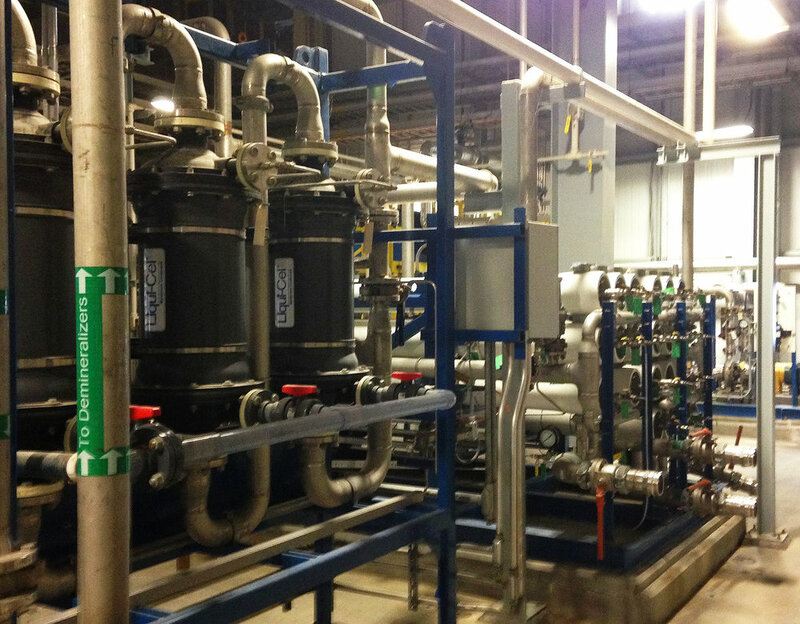 Reduce Anion IX requirement in new installations by incorporating a DPC Gas Transfer Membrane based CO2 removal system in the water treatment process. Improved Silica and Boron removal. 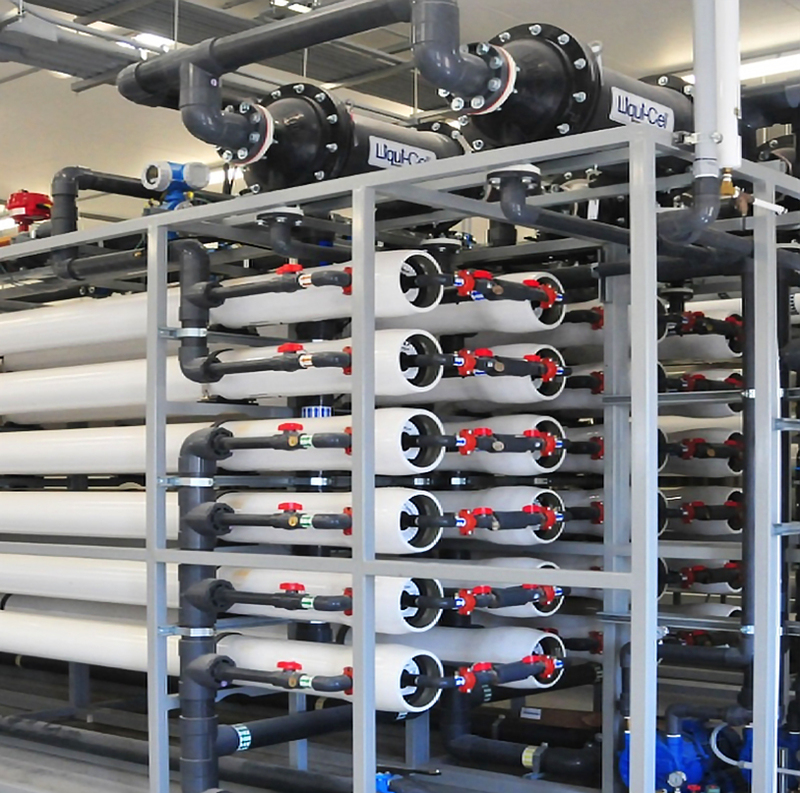 3M™ Liqui-Cel™ CO2 removal systems mounted directly on top of Reverse Osmosis Units.